This past month we attended Maverick Commins’, a fellow GUILD™ Member of The Institute for Luxury Home Marketing, seminar “10 Myths for Real Estate Auctions.” Commins is the current CEO and Chairman of Supreme Auctions – Accelerated Marketing for Luxury Real Estate. HERSH24K has had tremendous success using the luxury auction process. One of the biggest negatives about the process is that most consumers have a negative perception of the term “auction.” When it comes to the luxury market, the auction process may actually be the best way to get quick results. Below we have listed Commins’ “10 Myths” to help better educate you in the auction process and remind you of its strengths and advantages for both luxury home buyers and sellers. Myth #10 – All auction companies are the same. Myth #9 – If I buy a home at auction, I must buy it sight unseen without inspections. At a luxury home auction, the seller will often display any documentation needed in a traditional sale of the house. In bidder registration, a buyer will then waive their rights to those documents after he or she makes an offer. Most successful auctioning companies want potential buyers to come see the property prior to the auction. Myth #8 – Seller bidding on property using mobile bidding apps. It is federal law that sellers cannot bid on their own properties. This is called bid fixing and it’s illegal. The last 3 years, many real estate and, subsequently, bidding apps have become popular. However, as a luxury home buyer, be weary of internet bidding as it only tends to work well in land sales and commercial properties as these are only about the numbers. Myth #7 – Auctioned properties sell at a big discount. This is simply not true for the luxury market. Auctioned properties do sell at a big discount in the traditional real estate world, but, again, not in the luxury market. Myth #6 – Seller has to sell their property regardless of the auction price. 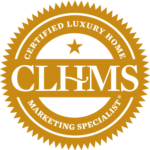 There are several different types of auctions offered for luxury home sellers. Sellers have the right to cancel an auction prior to the auction being opened up by the auctioneer. Myth #5 – Auctions do not work in my market as my market is very different. Commins says that the auctions in the luxury market, which is HERSH24k Luxury Properties’ specialty, do well. Myth #4 – My seller will not pay for marketing – they are cheap. 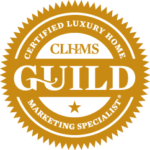 If you are a luxury home seller and invest in marketing costs, then you have “skin in the game” that will allow you to increase the speed of the sale along with using an auction. Unfortunately, properties that sell for 2M+ in Scottsdale sit on the market for an average of 842 days and in Paradise Valley–luxury properties at 2M+ sit on the market for an average of 853 days. The average carrying costs end up being around $250,000 a year, which is a lot. Traditional real estate is no longer free. Myth #3 – My seller doesn’t need to sell and is not interested in an auction. The decision to sell your luxury property through an auction is yours to make. 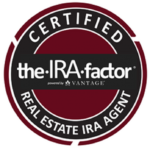 However, you might want to consider a different real estate agent if your current agent is not aware of other ways to sell your property other than using the traditional route. Myth #2 – I, as the agent, will get cut out of the listing and not get a commission. Often, sellers will ask what do I need the agent for and why can’t I just use the auction company? The auction company and auctioneering industry is not in competition with the agent. Agents are an integral part of the auction process and help luxury home sellers sell and luxury home buyers buy. Myth #1 – Auctions are for distressed properties. This is not what sellers think and know is happening today. Auctions are an option that help sellers who want to sell the property quicker because they want to move, downsize, or travel. Auctions are an option for luxury home buyers who know what they are looking for, do the research, and enjoy the process of getting involved in their personal investments. 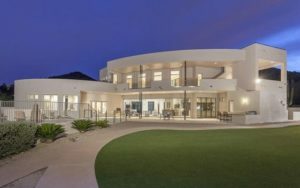 If you are interested in taking a nontraditional approach in buying or selling a luxury property–contact us at 602-758-2400, email us at info@HERSH24k.com, or click here for our contact page. We look forward to saying hello!